Floral design was Pretty Petals first love when our doors were opened for business in 1980. And now, we are married to customer service. Our experience spans more than thirty years in the flower business. Pretty Petals is professionally managed. Teamwork is the cornerstone of our company. Our team is modern, enthusiastic and committed. We are friendly and hardworking and are always ready and happy to serve you. In particular, our creative team professionally design based on their creative interpretation. To introduce new trends in the floral industry, our team frequents international world floral conferences and workshops. We also have a fleet of floral decorative vehicles that make our delivery service even speedier. Pretty Petals also make global deliveries through a number of international affiliations. Together with our affiliates, we use the freshest flowers and selective quality gifts. (Annexe to Park Royal Kuala Lumpur Hotel. Step into www.prettypetals.com.my and your senses shall be filled with the "heady scent" of roses and lilies. A vast selection of beautiful fresh flowers and exclusive high quality gifts awaits you. We have a chock full of things which we know you will adore. 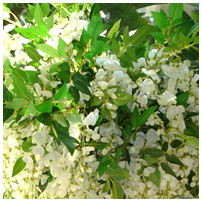 To express your most personal sentiments, www.prettypetals.com.my is your first choice!